Dar Lighting Yodella is a single light tripod floor lamp base in a oak wood finish. The product code is YOD4943. It features a very modern tripod frame with three legs in a natural oak wood finish and is shown holding a coordinating white drum linen shade. A fun and convenient way to illuminate contemporary spaces this versatile table lamp will provide a perfect lighting solution to any suitable room within your home. This item is double insulated and operated by a foot pedal switch located on the grey braided cable. 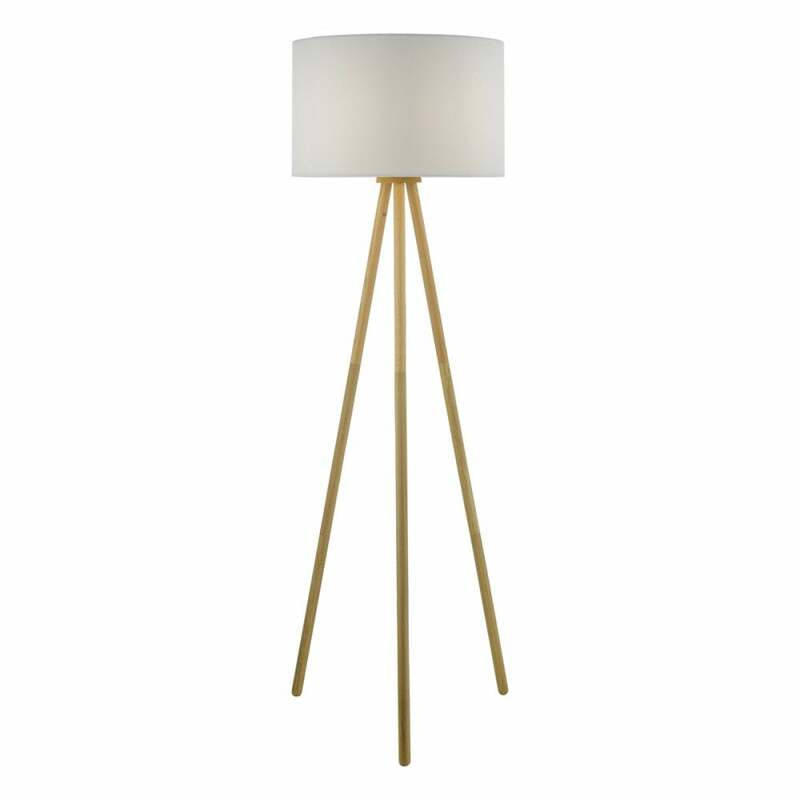 Dar Lighting offer an array of stylish floor lamps all of which can be viewed and purchased via our website.